For decades, we fought complacency over Big Tech. That's over. The techlash is here, and with it, a new and scarier problem: that we'll tame big tech by regulating it with expensive compliance rules that no startup could match, enthroning Big Tech as permanent (regulated) monarchs of the digital age. 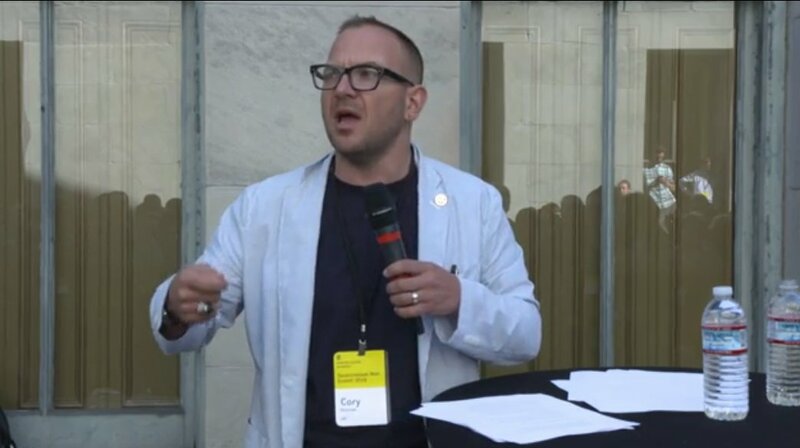 In this keynote address, author and advocate, Cory Doctorow, argues that Big Tech is a problem, but the problem isn't "Tech," it's "BIG." Giants get to bend policy to suit their ends, they get to strangle potential competitors in their infancy, they are the only game in town, so they can put the squeeze on users and suppliers alike. Nerds don't take it or leave it: they take the parts that work and block the parts that don't. That's what we have to offer to everyone else: the training and tools to decide what tech can do with us, our data, and our communications. The MOST democratic future is one where everyone gets to hack, where we seize the means of computation and distribute it to everyone.